While simple syrup is certainly the most useful syrup (and the easiest to make thanks to this quick video) it isn’t the only one you need to know. Here, 10 flavored syrups to stock up on for the greatest cocktails and desserts ever. This versatile, ultra-fruity syrup is delicious swirled into yogurt, brushed on grilled duck or in sparkling wine. Mixed with sparkling water, this syrup is a great way to make a mocktail take on a gin and tonic. Super-simple and wonderfully aromatic, this syrup is great in punches and gin fizzes. Two classic cocktail flavors come together in this syrup. Actress Madhur Jaffrey likes to mix this sweet-tart syrup with seltzer for DIY soda. 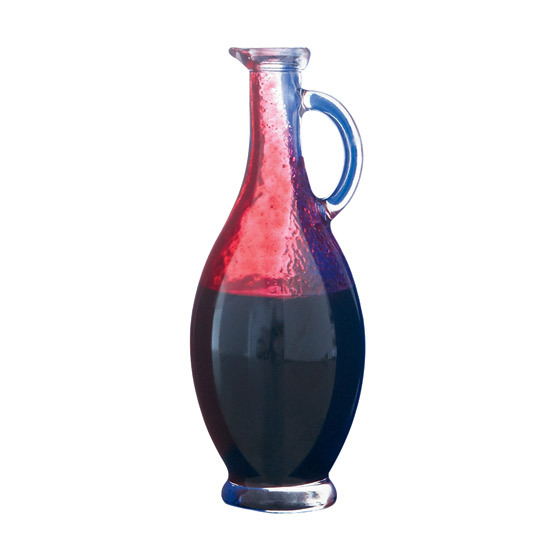 Made simply with red wine and sugar, this syrup is delicious in cocktail or poured onto ice cream. Give cocktails a spicy, warming kick with this easy syrup. This complexly flavored recipe is made with papaya, pineapple, lime juice, chiles, peppercorns, allspice, cinnamon, fennel and coriander. Give sangria a zesty kick with this recipe. Chef Jean-Georges Vongerichten upgrades lemonade with this herbaceous syrup.